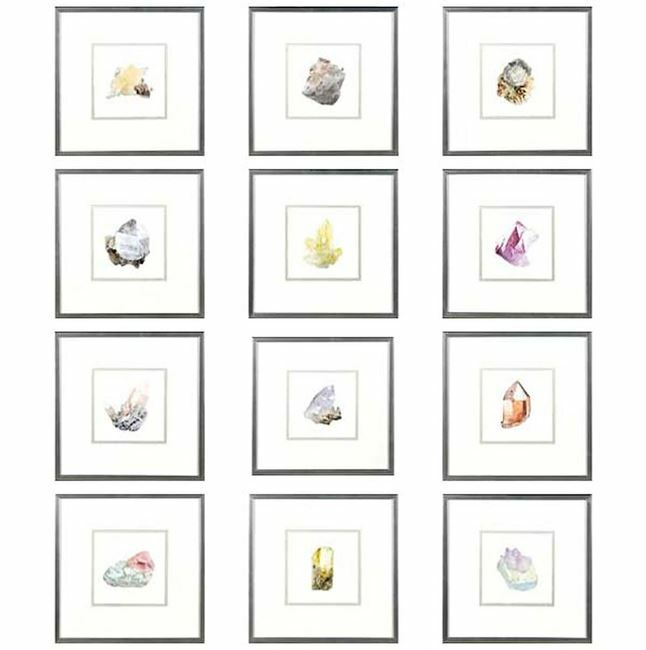 Precious set of 12 raw gem stones. Each of these, twelve, exquisite little photos of raw cut gem stone, photographs exude luxury with a shiny silver undermatt, oversize top matt, torn edge detail and delicate silver frame. This set makes a big and subtle impact. Great as part of a gallery style hanging.